More than a century later, Blue Diamond Growers still adheres to these values at every level of our operation. Our employees are strongly committed to the brand and to each other - the word "family" is often used to describe our culture. Today, Blue Diamond Growers represents more than 3,000 almond growers in California - the state that provides over 80% of the world's supply. We are one of the most recognized food brands in the world, with annual sales exceeding $1billion. We believe in transparency and honest communication. Our work style is team-based, working together to innovate, process, and distribute the best almond products to the world. 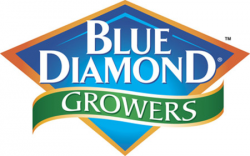 Blue Diamond Growers (BDG) is seeking an experienced Account Representative – Global Ingredients Division to join its winning team in Sacramento, CA. The Account Representative is responsible for administering all aspects of sales contracts and shipments for domestic and export accounts for the Global Ingredients Division to ensure on-time shipments, contract completion, regulation compliance and customer satisfaction. Work with customers, brokers, Sales and Planning to forecast upcoming production needs and shipment volumes and timing. Monitor and maintain appropriate levels of inventory, and plan for logistics needs. Address and resolve customer concerns and arranging returns or reimbursements as appropriate. Partner with Quality Assurance department to support complaint investigation. Utilization of customer complaint software required. Bachelor’s Degree in business, agribusiness, or related field of study, strongly preferred.